XinSheng (pronounced “shin shung”) means “new life” and here we are dedicated to providing a caring, personal approach to treatment using acupuncture and herbs. We specialise in female healthcare such as menstrual irregularities, fertility, pregnancy and post-natal conditions. 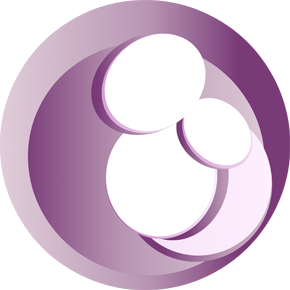 So whether you are looking for a natural way to boost your chances of getting pregnant, or are looking for some extra support through your IUI, IVF or ICSI cycle we can help. Our treatments are 60 minutes and the patient has our undivided attention the entire time. Our clinic can be found in Wimbledon Village. ​How are our sessions different? One of the most obvious, is the inclusion of bodywork into the acupuncture sessions. The bodywork is very gentle, aimed at calming, relaxing, to allow the body to be more receptive to the needles, to switch off the stress response triggered by our modern lifestyle and allow our body to rest and recuperate. Our sessions are minimum 1 hour to allow plenty of time for questions without compromising the acupuncture session. Each appointment is scheduled 90 minutes apart so if you need extra time to go through test results, IVF protocols, diet plans you can! (There will be extra charge, please refer to the price list). Sing Sing does not leave the room to see other clients during your appointment time.